The African lion may represent strength and dominance but the big cat has not been doing so well lately. Amazingly, a creature who oozes indestructibility has been fighting a big battle for survival against human progress and it’s number have been on a gradual slide in recent years. Some have even suggested extinction but this may still be premature thinking. 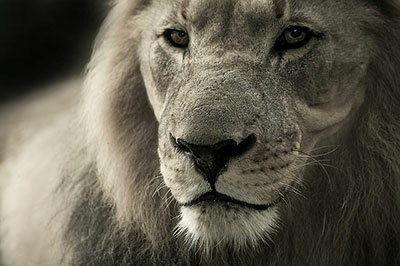 There is some good work going on at the moment in several areas to make sure the king of the beasts lives on. As a tourist and lover of African fauna, the lion is always one of the main attractions and if you’re thinking of an African lion safari, now is as good a time as ever. The African lion’s habitat has been eroded in the name of progress and development but this doesn’t mean you won’t get to see it in all it’s glory. An African lion safari can take you to several countries and one of the best times to see it in hunting mode is during the famous annual migration of the wildebeest. It’s one of nature’s more phenomenal fauna-based events across the mighty Serengeti. It’s almost like rush hour shopping during the pre-Christmas period as a mass of fauna heads for greener pastures. For the lion, it’s “food on a platter” and their most productive hunting period. For those of you hoping to catch the lion in a pose other than just lounging around then it’s like striking the jackpot. It’s a great time for photographers and video enthusiasts alike. An African lion safari is still big business for now. Unless there is a drastic turn around in it’s fortunes and more help given to those entrusted with the enviable task of maintaining it’s presence among African animal culture, then going in search of the lion now makes good vacation sense.